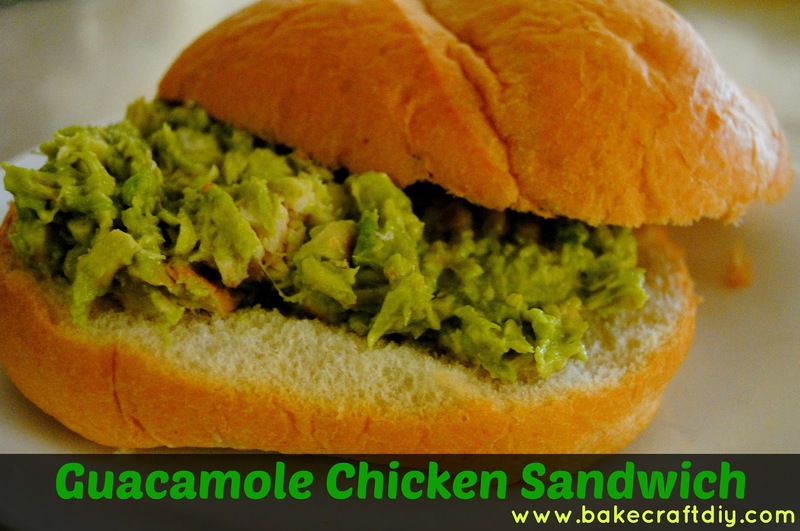 The guacamole chicken sandwich is easy to make and absolutely delicious. It's not to heavy and the perfect lunch for a picnic. I whipped these sandwiches up for a picnic dinner when we went to watch fireworks for Independence Day, they were devoured and then followed by a giant cotton candy snow cone! We had an awesome fireworks show and I told my husband I wanted to spend the rest of our 4th of July's at his parents house. To make this sandwich you need shredded chicken and guacamole or just fresh mashed avocados. Mix the two together, I used a handheld beater to make the mixing fast and easy, and it broke up the chicken a little more than just slicing it. I've seen the video of someone using a handheld beater to shred their meat, it did not work for me. 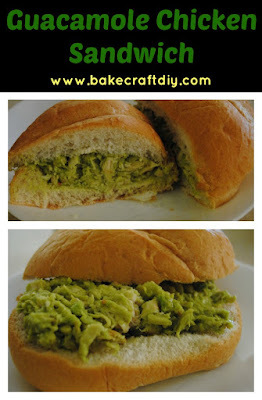 Add your guacamole chicken mix to the type of bread of your choosing. We picked freshly made rolls, that were very airy and light and they went with our sandwiches perfectly. When I was a kid, we lived on about 3 acres of avocados. I love them! I remember eating the ripe ones straight from the tree. If they landed on the ground our avocado loving dog ate them. I would've thought to mix guac with shredded chicken. But I guess it's kind of like part of a chicken taco in sandwich form:) yum! I will put guacamole on anything, although I kind of with I had thought to put a slice or two of tomato on the sandwich. Yummy! This sounds delicious, I love avocados. Mixing them together like this would probably make it easier to eat. I know when I get a hamburger with avocado it always squashes out or slides apart.